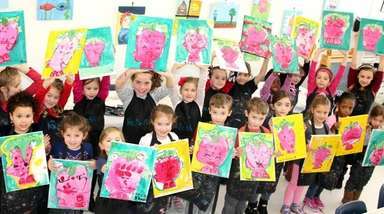 Whatever holiday you celebrate, one thing's for sure — you'll find events for children on Long Island throughout the month of December. From holiday performances to crafts, gingerbread houses, light shows, Santa breakfasts and more, here are some of our favorites. INFO 631-369-3031, northforktrolley.com; $55 per person, includes trip, refreshments and small gift for kids. The Emmy Award-winning rock band for families is throwing a Reindeer Party for Long Island. Come listen to their positive hit songs, with a touch of holiday cheer and songs in the mix. INFO Prices start at $19.50; 631-673-7300; paramountny. Charlie Brown and his friends learn what the true meaning of Christmas is in this touching play. Stay after for photos with Santa and Mrs. Claus and to make a holiday craft. Santa will be at Hicks Nurseries (100 Jericho Tpke., Westbury) from Nov. 23-Dec. 23, so bring a camera for photos (no fee). Kids can also mail their letters to Santa at the North Pole Mailbox and Santa will answer them (last day for letter mailing is Dec. 17; a self-addressed, stamped envelope must be included to receive a reply). The animated Christmas story "Something Special for Santa" is open for free through Dec. 24. Customers are encouraged to donate a non-perishable food item to Long Island Cares. On weekends, (Nov. 23-Dec. 16) there will be live music with a brass band from noon-4 p.m. Price: Free. Visit hicksnurseries.com or call 516-272-4624 for more details. 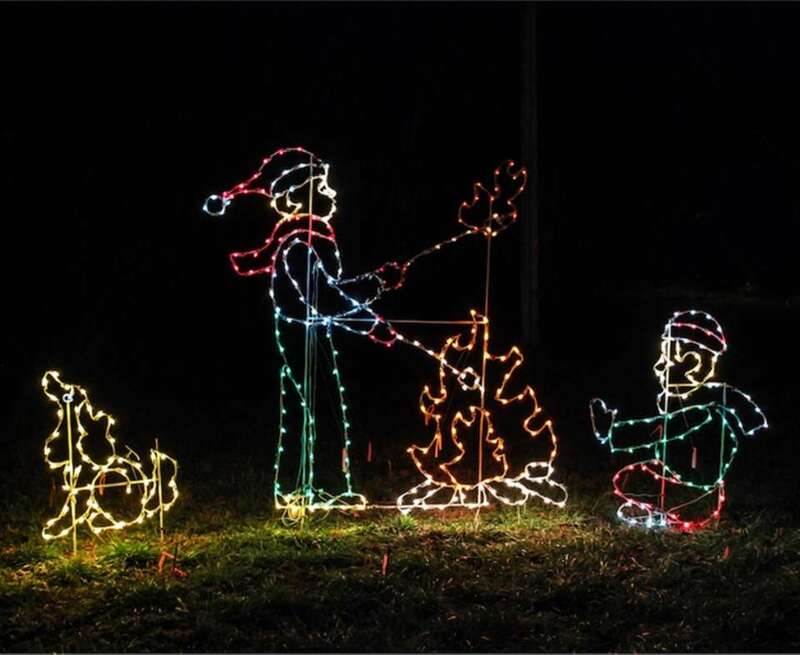 The Girl Scouts Holiday Light Show returns to Smith County Point Park at 1 William Floyd Pkwy., Shirley, offering a drive-thru program with lights and displays Nov. 29-Dec. 30 (closed Dec. 24-25); each show starts at 5 p.m. Price: $20 per car, $40 for mini-buses and RVs, $70 for coach and school buses; no cash, only credit and debit cards will be accepted for payment at the gate. Ending times vary; for more information visit gssc.us or call 631-543-6622. The 2018 version of "The Grinch" hit the big screen this month, and the popular Dr. Seuss character is inspiring family-friendly events across Long Island. Click here to view where The Grinch will be making an appearance this season, and more fun holiday happenings in Nassau and Suffolk. Pictured: Brunch with The Grinch and Santa takes place at GM Burger Bar in Rockville Centre on Dec. 15, 16 and 22. During the holiday season, Bayville Adventure Park (8 Bayville Ave.) turns into a Winter Wonderland. 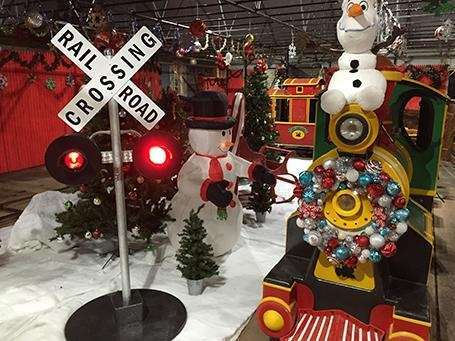 Families can visit Santa's Toy Factory Funhouse, watch Captain Bay's "Yo-Ho-Holiday" light show, ride the Holiday Express train and check out the ice skating rink, among other attractions. The Winter Wonderland runs from Nov. 23 through Jan. 1 on Friday-Sunday (also open Dec. 26-27 and 31); kids can meet Santa daily. Price: $22.75 (includes all activities; photo with, and letter from Santa are an additional charge). More information at bayvillewinterwonderland.com. Santa and Frosty are coming to Pump It Up of Great Neck (225 Community Dr., Suite 250) for a jumping, climbing and sliding holiday event. Kids can take pictures with Santa and Frosty, there will be a bagel breakfast or pizza dinner and a holiday goodie bag for kids. 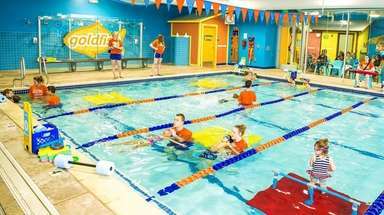 Information: $20.95 per child; 9-11 a.m. Dec. 15, 5:10-7:10 p.m. Dec. 16, 10:10 a.m.-12:10 p.m. Dec. 22 and Dec. 23; Space is limied and registration is required; 516-466-PUMP; pumpitupparty.com/great-neck-ny/. See how Jenny and Frosty save their town of Chillsvile from mean Ethel Pierpot, who wants to melt all the snow. They'll need everyone's help -- including yours -- to get Frosty to the North Pole. The drive-thru Riverhead Holiday Light Show (Long Island Sports Park, Calverton) features more than a million lights depicting holiday scenes and displays. The light show is open Nov. 23-25 and 29-30, and Dec. 1-2, 6-9, 13-16 and 20-30; 5-9 p.m.; Mondays, Thursdays and Saturdays; 5-11 p.m. Fridays and Saturdays. Price: $25 per car, $23 in advance; 631-201-5050, riverheadlightshow.com. Head to Old Westbury Gardens (71 Old Westbury Rd., Old Westbury) to see the period rooms decorated with wreaths, mantelpiece drapes, topiaries and other plants and more. Kids can create crafts, share their holiday wishes with Santa and enjoy hot cider and cookies. The lighting of the holiday tree takes place Dec. 1 from 6:30 p.m.-9 p.m., featuring a visit from Santa, another tree lighting on the South Terrace (at 8:15 p.m.) and live music by members of the Bethel Concert Choir. 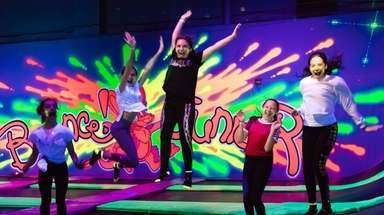 Price: $15, $13 for members, $8 for children ages 7-17 (ages six and younger, member children: free). Advance registration is required, register online at oldwestburygardens.org. 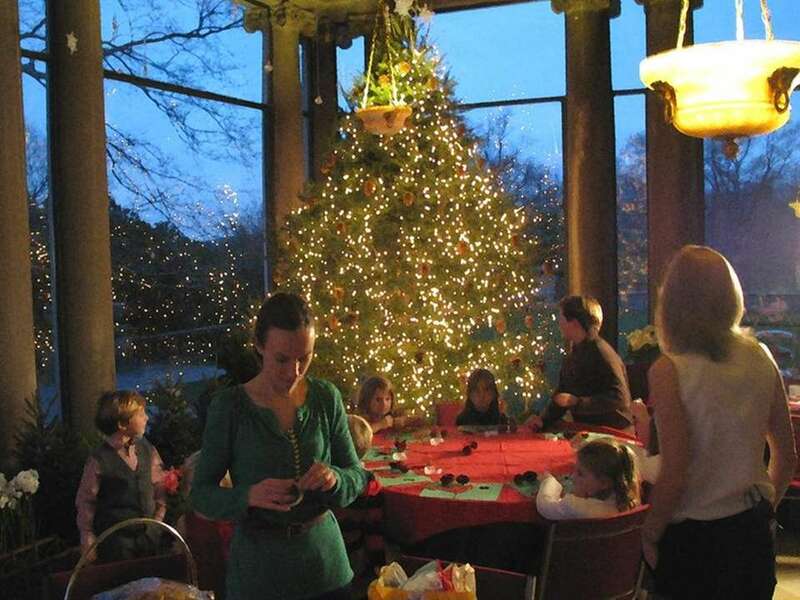 Holiday crafts take place 10 a.m.-1 p.m. Dec. 1,2, 8, 9, 16, 22 and 23; Price: Free with admission. More information and full event calendar at oldwestburygardens.org . Head to White Post Farms (250 Old Country Rd., Melville) for their Holiday Extravaganza taking place Nov. 23-25 and Dec. 1-2, 8-9, 15-16 and 22-23. Guests can use their own cameras and take photos with Santa and the Mensch on a Bench for no charge; other features include the Monkey Barn, holiday singing chicken show and the bird aviary (open weather permitting). Price: $15.95; trips on the holiday train and indoor pony rides will be available for an added fee. For more information, call 631-351-9373 or visit whitepostfarms.com. 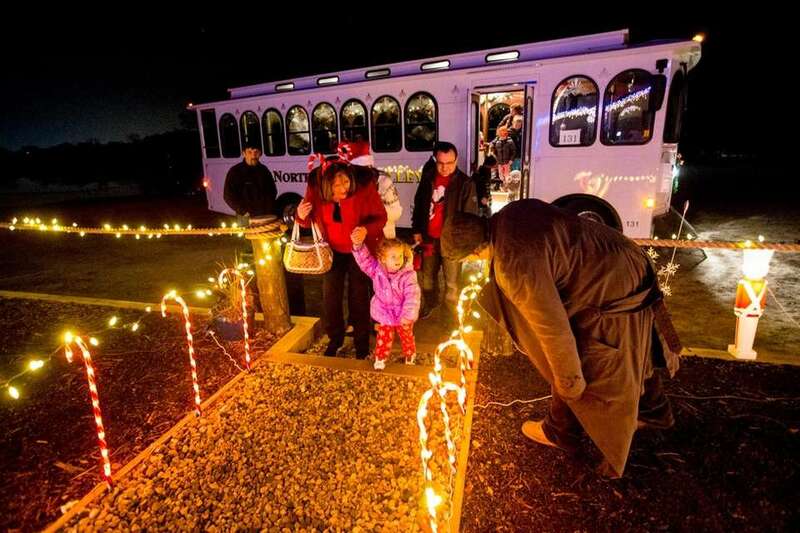 At Jones Beach State Park, West End in Wantagh, kids can meet Santa after a drive through the Holiday Lights Spectacular from Nov. 16 to Dec. 30. 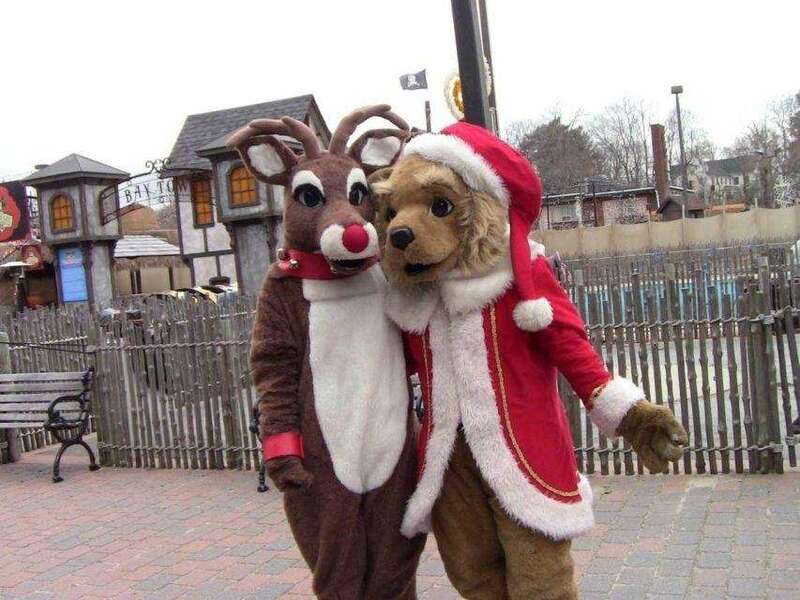 After the drive through Holiday Park, which features more than 150 displays and animated characters synced to holiday music, families can stop by the heated Holiday Village for pictures with Santa. 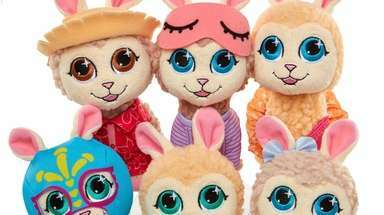 Kids can also make their own s'mores, check out holiday-themed vendors and even enjoy a hay maze ride. On Wednesday nights, you can bring your pet. Prices are $25 weekdays, $30 weekends and $20 in advance. John W. Engeman Theater (250 Main St., Northport) is hosting a family-friendly adaptation of the 2003 hit movie starring Will Ferrell now through Dec. 30. The play follows Buddy the elf who climbed into Santa's sack one Christmas and ended up being raised at the North Pole. Price: $73 ($78 Saturday evenings); 631-261-2900, engemantheater.com. This is Theatre Three's 35th annual production of Charles Dickens' timeless tale of redemption in which miserly Ebenezer Scrooge explores Christmases past, present and future to learn the true meaning of the holiday. There's no better way to meet and greet Old St. Nick himself than with a hearty morning meal. Many places around Long Island are offering breakfasts and brunches with Santa, all with favorite sweets and holiday treats. These are great photo opportunities, so don't forget your camera. 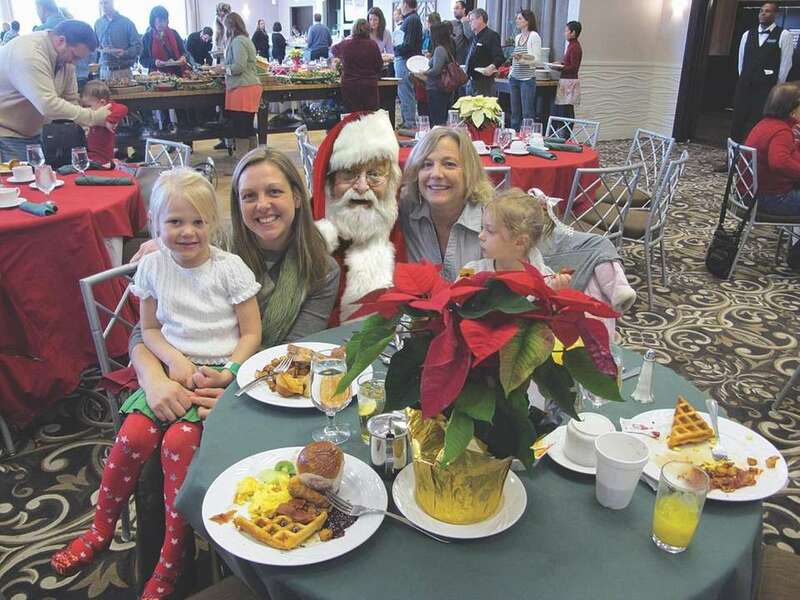 Check out some of the many places offering breakfast with Santa events. As the littlest elf, Barnaby and his reindeer friend Franklynne set off on a journey to save Christmas, and on their way, they meet new friends and learn the true meaning of Christmas, Hanukkah and the holiday season. The performance will be held 11 a.m. Nov. 23-24, Dec. 1, 8, 15, 22, 24, 27-29 at Theatre Three, 412 Main St. in Port Jefferson. Price: $10; 631-928-9100; theatrethree.com. Dees' Nursery (69 Atlantic Ave.) in Oceanside is hosting a bunch of holiday events for kids. 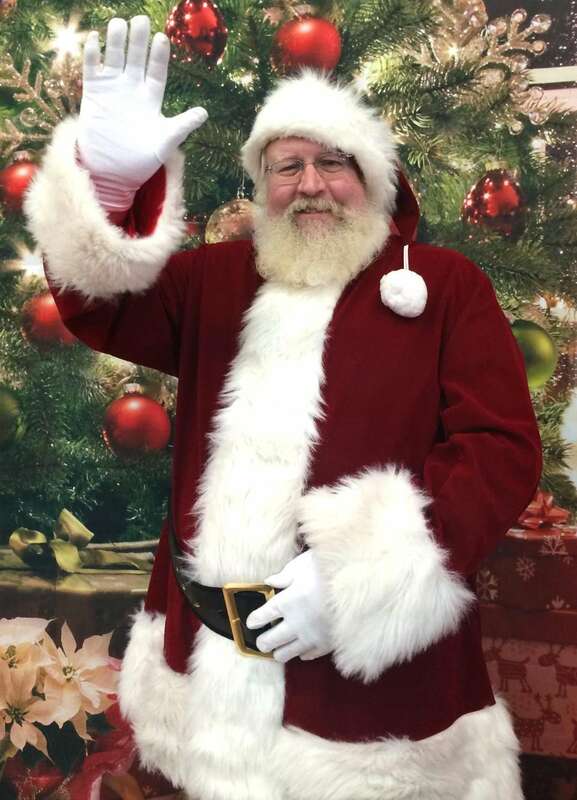 Santa will be available for photos 10 a.m.-5 p.m. on Nov. 23-25 and Dec. 1-2, 8-9, 15-16, 22-23; families are welcome to take their own pictures but photo packages will also be available. "Elf on the Shelf" movie nights will take place on Dec. 12-13, and 19-20 at 6 p.m. The fee includes an elf hat, Christmas ornament craft, scavenger hunt, popcorn and refreshments. Price: $19.99 per child; reservations required. Kids can also take part in a Children's Gingerbread Night (Dec. 21) with Chad the pastry chef; fee includes a chef hat, gingerbread house, icing, candy, decorations and an apron craft. Price: $39.99 per child. The Pancake Breakfast with Mrs. Claus will be on Dec. 8 and 15 from 9 a.m.-10 a.m. Mrs. Claus will read a story, and kids can participate in crafts and a scavenger hunt. Pancakes for the kids, tea and coffee will be served. Price: $21.99 per child. The Pajama Night with Mr. & Mrs. Claus will take place on Dec. 7 and 14 at 6 p.m. Santa and Mrs. Claus will read stories; kids will also take part in an apron craft, a cookie box craft, and get to decorate a gingerbread cookie. Children are welcome to wear their pajamas. Refreshments will be served for children and adults. Price: $21.99 per child. Tickets should be purchased ahead of time for all events by calling 516-678-3535; reservations are required for most events. Visit deesnursery.com for more information. Ho! Ho! Ho! Santa Claus landed his sleigh on Long Island and is ready to meet and greet kids, hear their wish lists and find out if they've been naughty or nice. 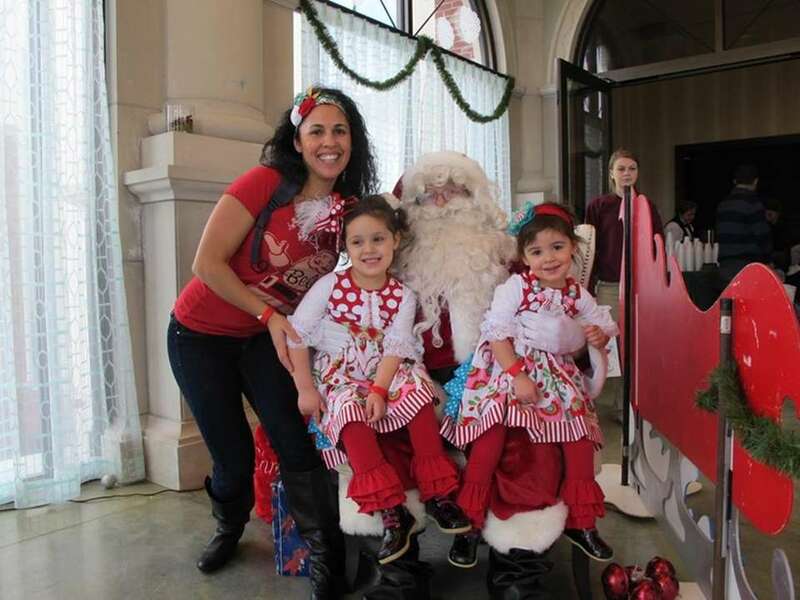 Old St. Nick will be making appearances all over Nassau and Suffolk throughout the holiday season, from local malls and nurseries to more off-the-beaten-path venues. Check out our complete guide of places to see Santa. A nautical-themed light show will be on display along the Long Beach boardwalk from Long Beach Boulevard to Magnolia Boulevard now through mid-January 2019. Stroll the boardwalk and then grab dinner with your family in town. Lights will also be displayed throughout Long Beach on Park Avenue, the West End, East End and Canal Bridges. Creative Elf on the Shelf ideas from LI parentsElf on the Shelf has become a holiday tradition for many Long Island families. 18 places to see Santa on LIHo! Ho! Ho! Santa Claus landed his sleigh on Long Island and is ready to meet and greet kids, hear their wish lists and find out if they've been naughty or nice. 10 places to have breakfast or brunch with Santa on LIHave breakfast with Santa, make crafts and more this holiday season.